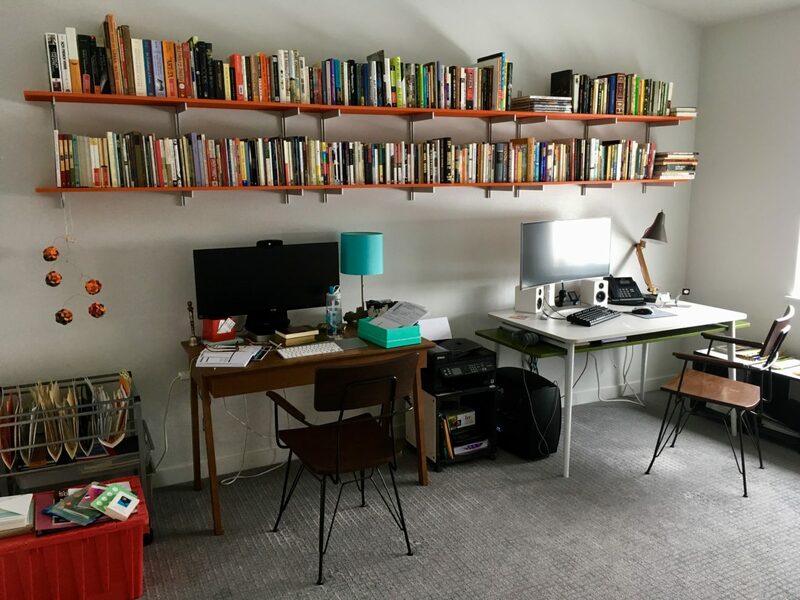 You know what they say: new year, new bookshelves. I have been losing my mind. We have been diligent about unpacking, but all of my books have remained in boxes for three months now. Dan and I knew we wanted to install permanent, wall-mounted bookshelves, so there was no sense in unpacking them all twice. This is the space we had to work with. 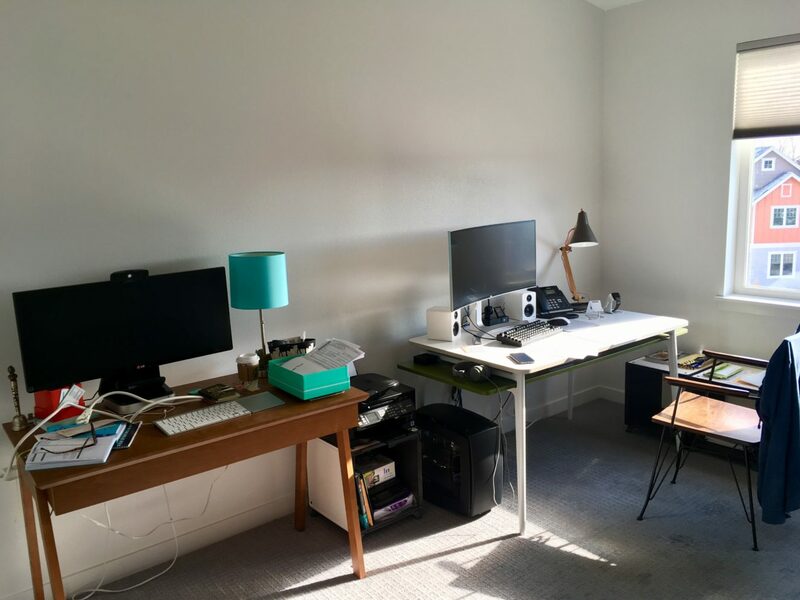 Our desks both face the same large, blank wall (angled at the top, though you can’t see that here). 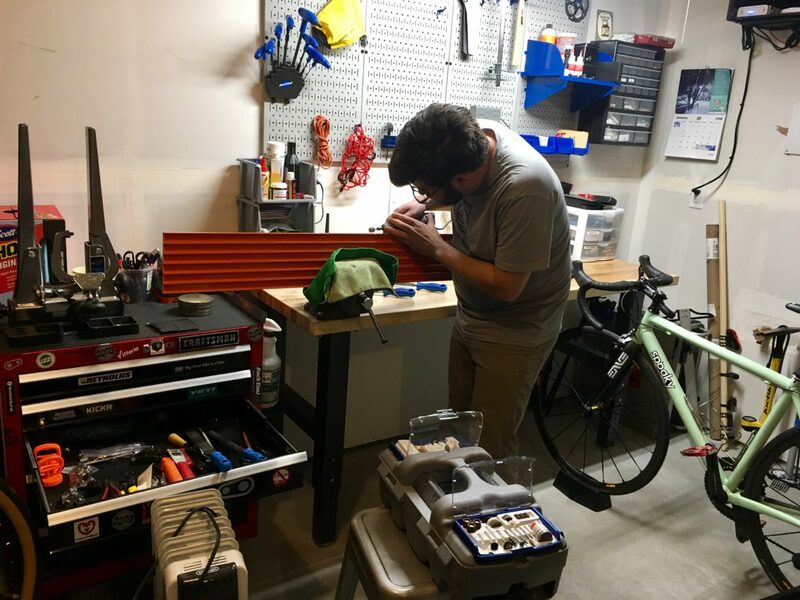 Because Dan doesn’t do anything halfway, he ordered gorgeous, commercial-grade shelving for the project and still found it lacking when it arrived, necessitating two extra trips to Home Depot for stronger wall anchors and longer screws. I’m grateful — if these shelves fall, they’re angled toward my head. 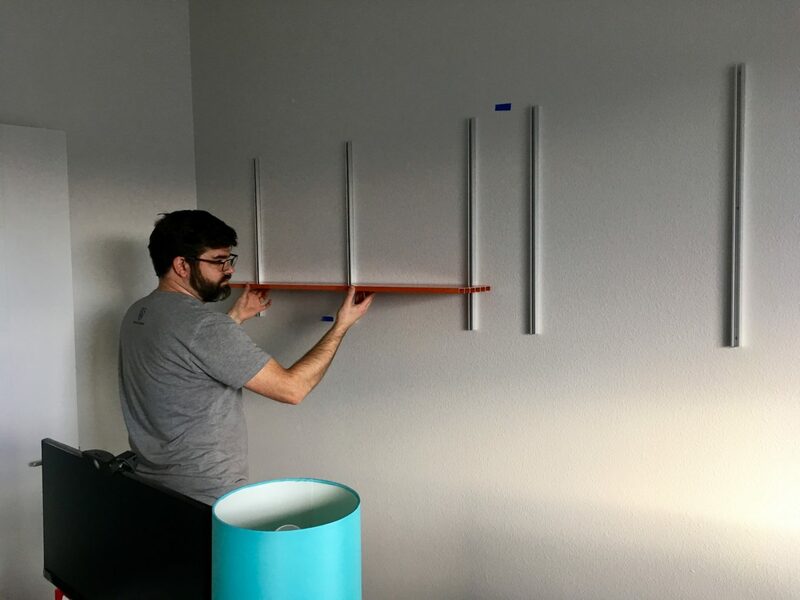 The shelves became an all-day project. I “helped” the way a toddler might help: holding the level, handing over screws, queueing up music. Because our wall is apparently not entirely flush, they also required some Dremeling to fit. 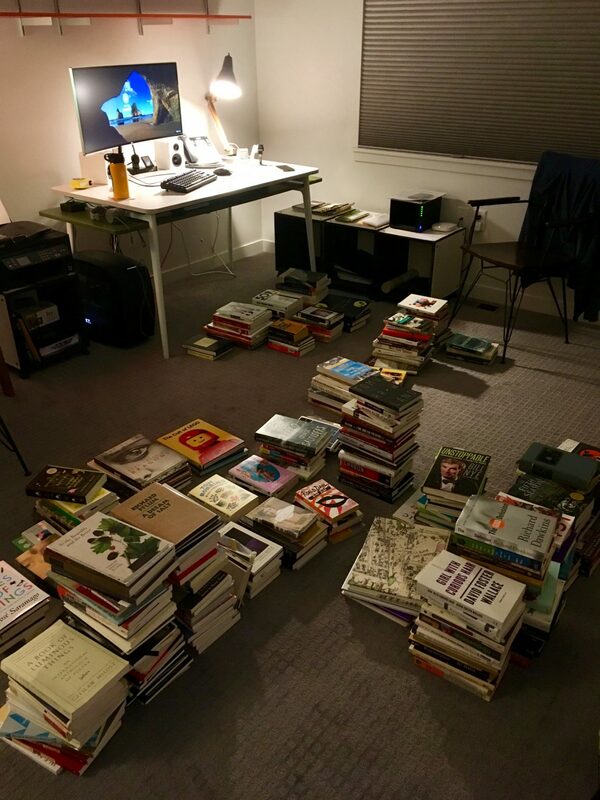 Finally, the truly important work of unpacking and loosely organizing the books themselves. I was downright emotional being reunited with my books. I had pared down relentlessly prior to the move, so what’s left are my favorites, which ended up fitting the shelves almost exactly. The finished product is better than I could have pictured it. The books are not in the correct order and we have heavy-duty bookends on order so that none lie horizontal as they do now, but otherwise the project is complete. 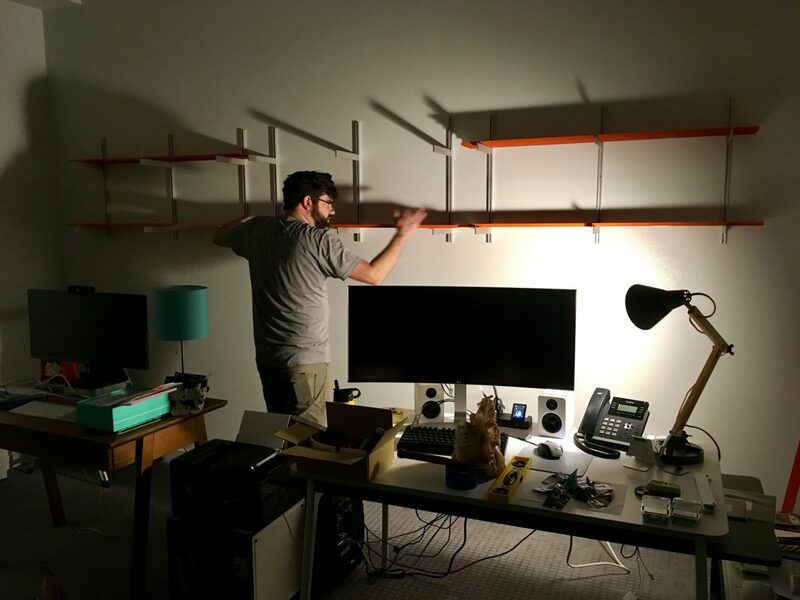 This is office remodel part 1 — part 2 consists of replacing both of our desks with a long counter across the same wall. Once we know more about the counter we’re ordering, we can also replace the kitchen chairs we’re both using as desk chairs. Dreamy far off look and her nose stuck in a book.